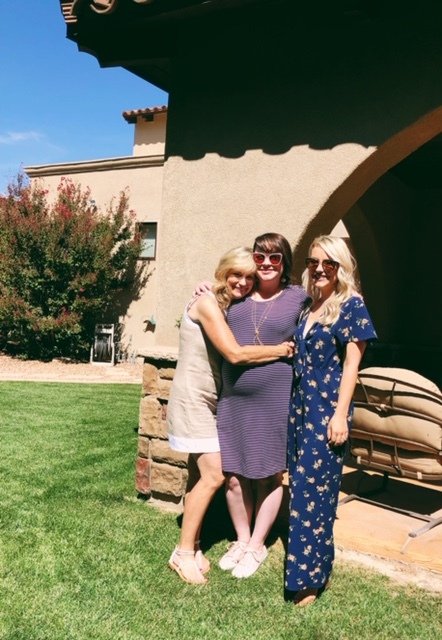 We just celebrated my sister, Megan’s, baby shower for her baby boy due on November 7th! I couldn’t be more excited to meet her sweet little bundle of joy! 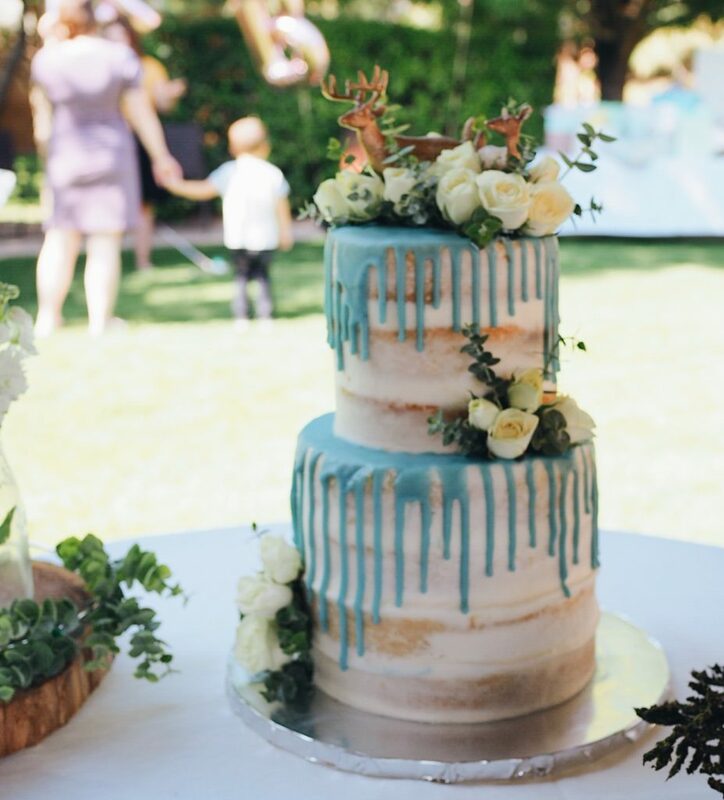 I love organizing parties and we were so happy with how this woodland themed baby shower turned out. Everything was absolutely beautiful, so I wanted to share it with you guys! 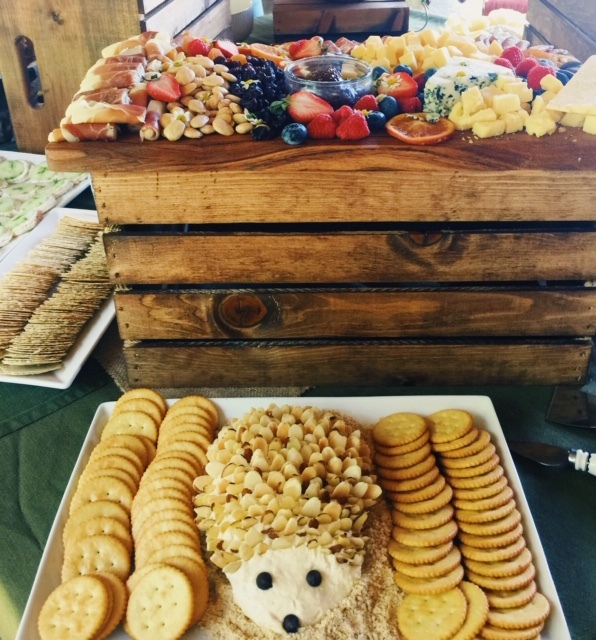 The women that I have had the opportunity to work alongside for Megan’s bridal shower and her baby shower are so incredibly creative and make everything absolutely beautiful (and delicious!) 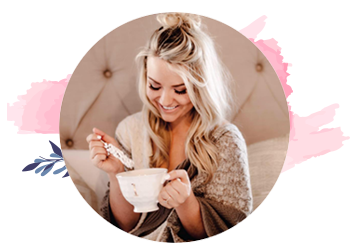 They help to keep the fun and creativity while making everything chic and beautiful at the same time. 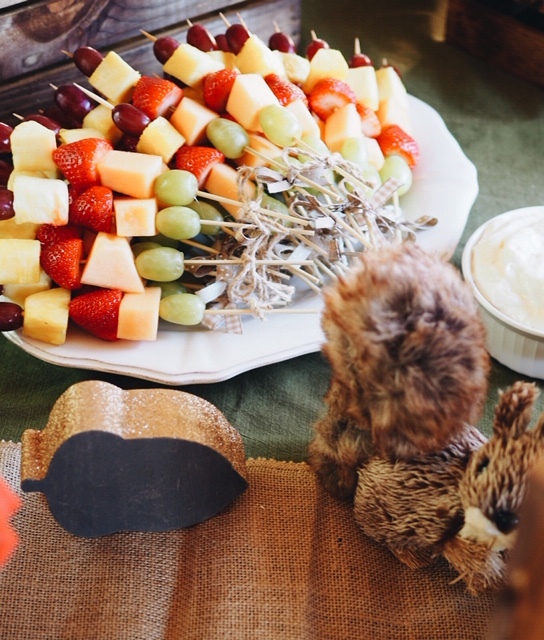 If you are thinking of throwing a baby shower for someone in your life, this woodland theme is such a neutral, sweet and modern baby shower idea! 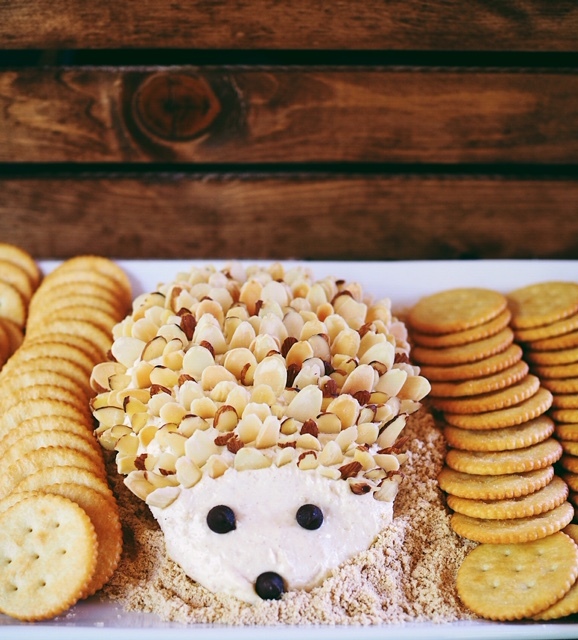 I made this hedgehog cheeseball appetizer and received so many compliments on it! The best part is that it’s SO easy! It’s a little bit time consuming to put the almonds on, but it’s definitely worth it. I used this cinnamon sugar recipe because I wanted something sweet. The only substitution I made was to omit the cinnamon toast crunch from the outside of the ball. I crushed it into a fine powder to add as ‘sand’ around the hedgehog and added a little bit to the cheeseball mixture as well. 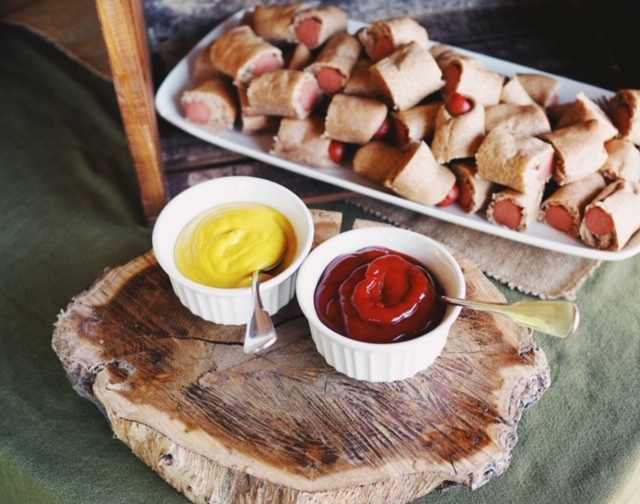 You can use this recipe or create any savory cheeseball recipes and it will work just as well! 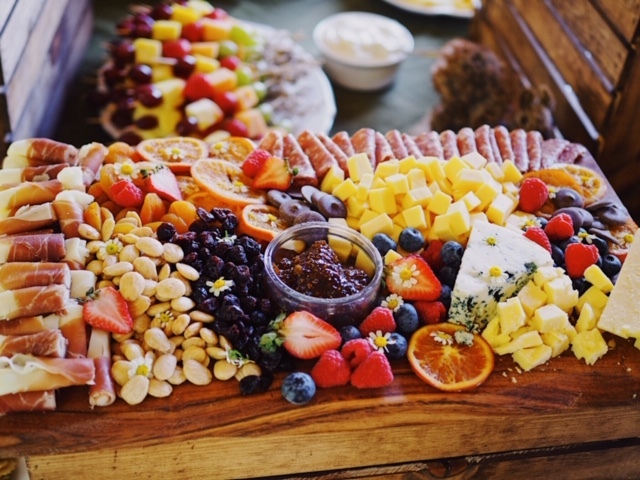 This charcuterie board was made by my sister’s close friend, Jade, and it was by far the most gorgeous thing on the table! 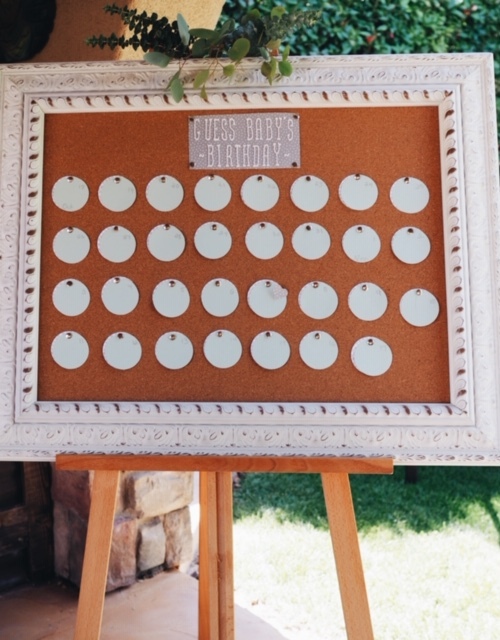 The large cheeseboard tied in perfectly with the theme. 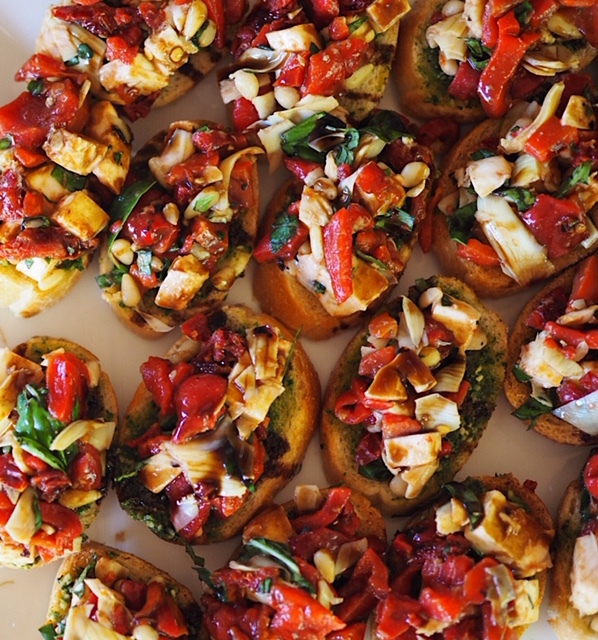 Not only were the colors aesthetically pleasing, everything tasted incredible as well! 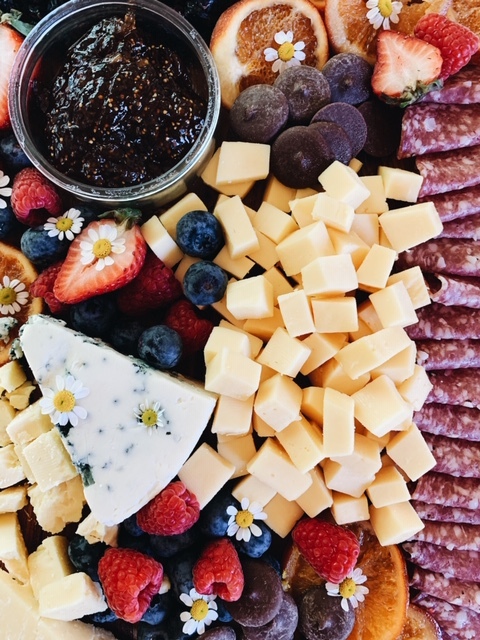 Candied oranges, chocolate, bleu cheese, fig jam, prosciutto, nuts, raspberries, strawberries and more covered the huge cheese board to create a delicious medley of flavors. Other Cheeseboards I Love: Extra Large Slate Board with Chalk, Maple Wood Cheese & Crackers Tray. 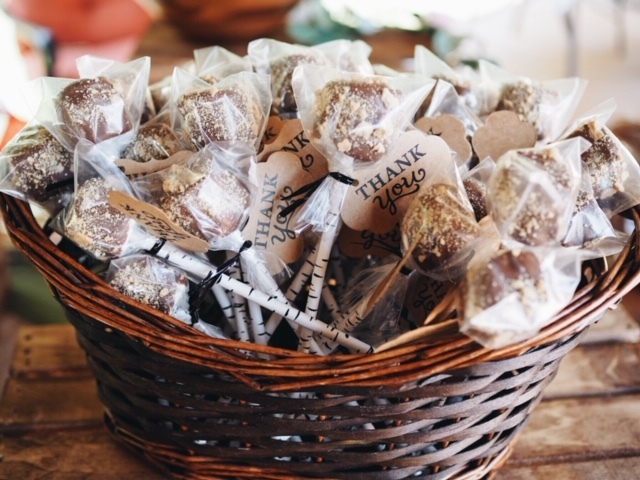 Every baby shower needs a little ‘thank you’ gift for the guests to leave with. 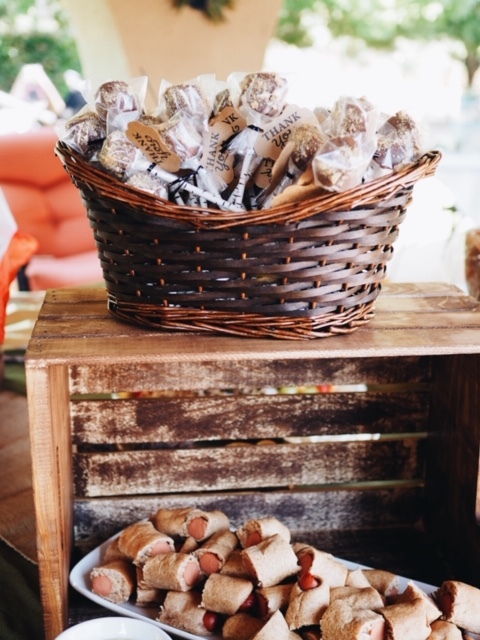 These chocolate and graham cracker covered marshmallows are a clever, easy and affordable way to do just that! 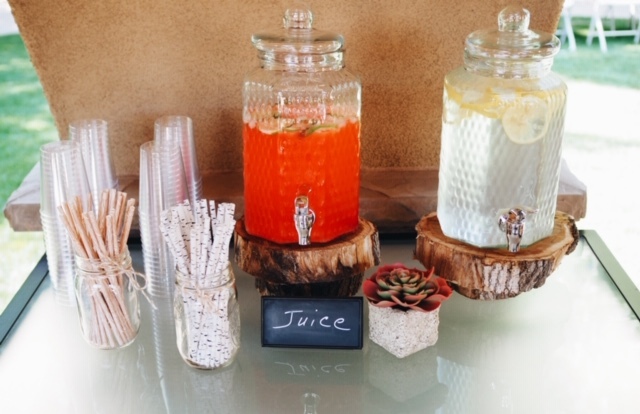 These Birch Tree Paper Straws were put into the marshmallow to add even more of a woodsy feel. 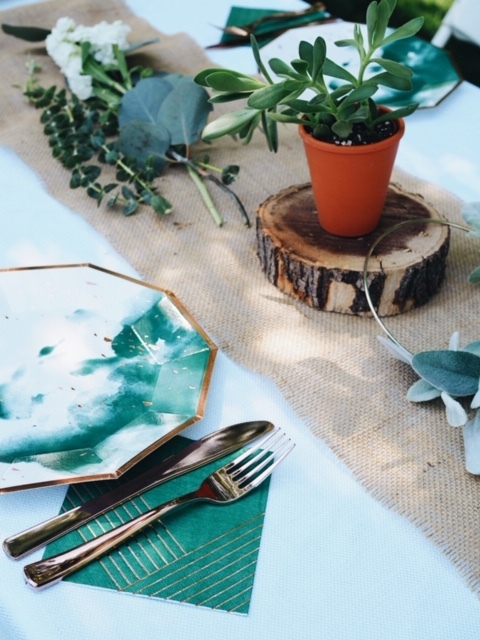 We used the wood slices and stained wood crates to set up our tablescape. 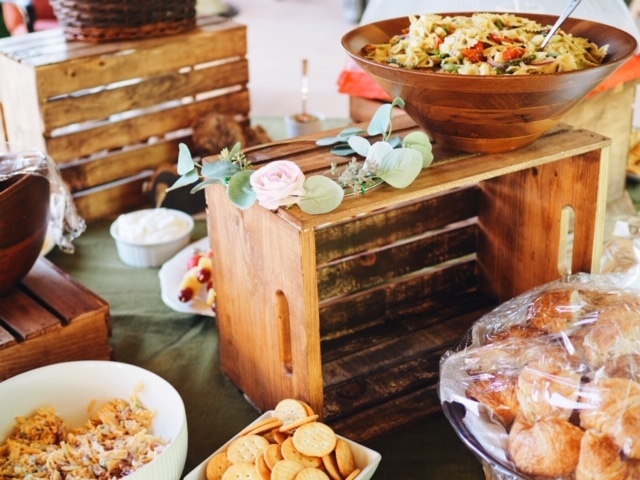 We placed our platters on top of and around the crates which added dimension and a rustic feel to the table. 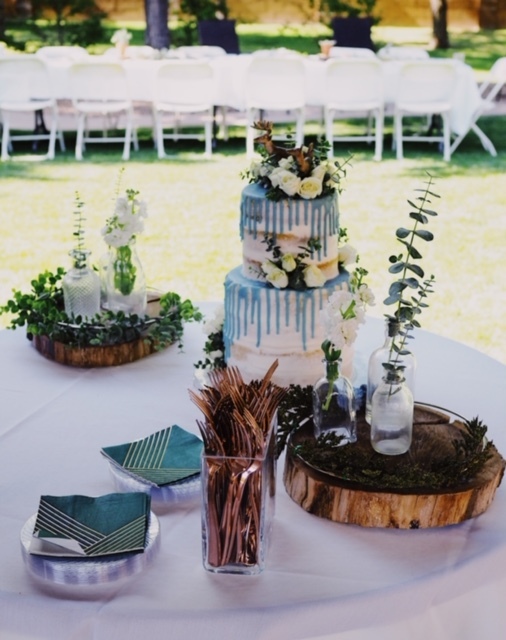 We used the wood pieces for the centerpieces and for the gorgeous cake made by Sweet Grace Cake Co.
Eucalyptus is one of my favorite plants to decorate with – and it’s so affordable at Trader Joe’s! My sister and Jade made the floral wreaths and I loved how they turned out! I placed the small ones at an angle off of the wood slices for the centerpieces. We placed them around the venue as decorations and used fishing wire to hang them from the trees above the gift table. I spread out the Eucalyptus down the long guest table on top of the burlap to add greenery. 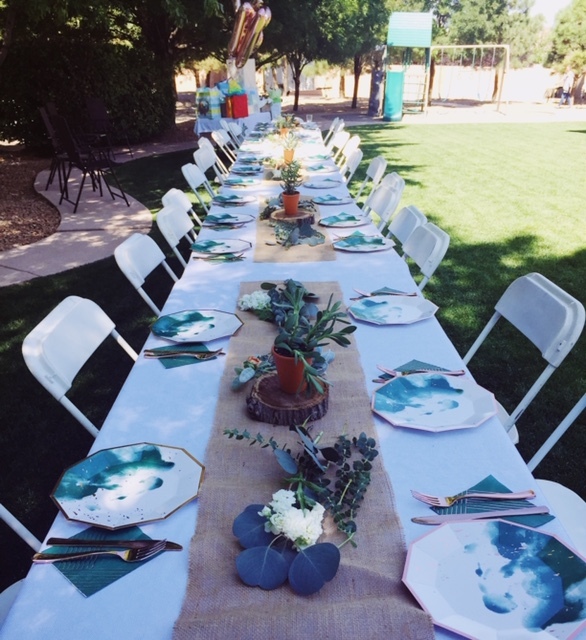 It was such a beautiful shower and I hope that this post gives you a few ideas for your own loved ones! 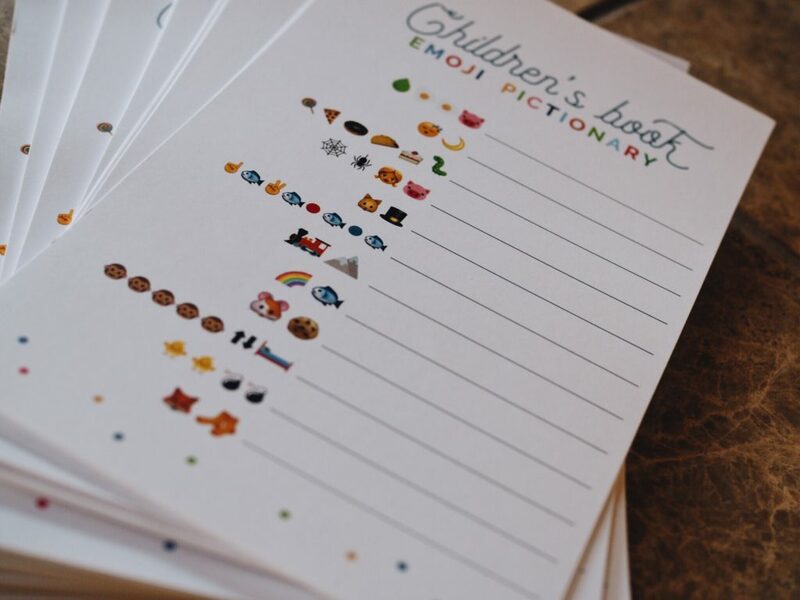 Comment below and let me know what your favorite shower theme has been! Where did you get the plates?